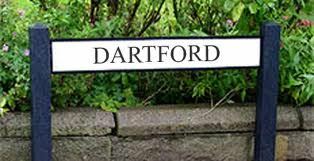 There will be a Dartford Natters meeting this evening at the usual time and place. 7:30pm, Royal Oak, Spital Street, Dartford. I’m expecting it to be fairly low key – not least because quite a few regulars are likely to be attending the Radio Kent parliamentary hustings at Acacia Hall. Indeed one such regular, Andy Blatchford, will be featuring in the hustings as the Dartford parliamentary candidate for the Green Party. But I’m hoping some of those people will come along to the Royal Oak after that, for a bit of ‘green room’ [no pun intended Andy], winding down and continuing some of the discussions. Meanwhile there’s plenty for us to talk about – Lowfield Street/Tesco and the Working Group, the role of a ‘community of communities’ such as Dartford Natters in being able to feed into those deliberations. More generally what Dartford Natters can be useful for – and does that work best monthly, every two months… or some other pattern – and how we should respond to the fact that the Dartford Matters website has currently gone into hibernation. This should help me decide on a future schedule of ‘Natters’ which I can set up and publicise well in advance. I look forward to seeing you there, and getting your views on Nattering in the rest of 2015.